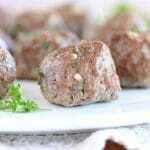 These delicious grain-free, egg-free meatballs are super easy to make, and the kids love ’em! My husband and I are typically behind the times when it comes to technology. For instance, we just recently purchased our first smart TV, thus enabling us to see our favorite shows and movies in high-definition. Another first for us is Netflix! I’ve been reading about Netflix for years, not quite understanding the hype, BUT!…I watched my first food documentary the other day on it, which was really fun. ‘The Magic Pill’ follows three families and one Australian tribe, among others, on their journey with a low carb, keto-ish diet. One family, in particular, was very interesting to me, as they had a little autistic girl. All of the people were trying to better a health issue, whether it was obesity, ADD, allergies and/ or other potential diseases, so it was a fascinating watch for me. The transformation I saw with the autistic girl was just incredible! She went from a diet of processed junk to protein, fat, and vegetables, and it was amazing to see her improve. 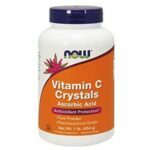 Another woman basically healed herself of cancer by eliminating all sugar from her diet and focusing on high fat and protein-based foods. Needless to say, the very next day, I was encouraged to up our family’s own fat and protein, lol! One delicious vehicle to do that with are these juicy meatballs. Now, truth be told, I’m NO meatball connoisseur and I’m definitely not Italian, so if you’re highly picky about your balls, this may NOT be the recipe for you. You’d probably know that, however, by just looking at the ingredients. 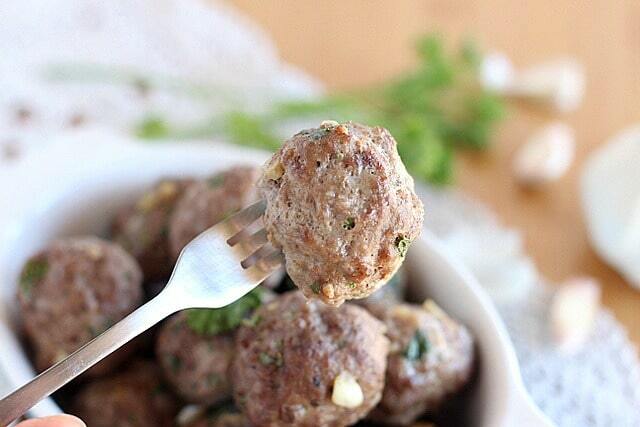 These meatballs hit all the above marks! I tested two batches this day, and the kids ate a whole pound of meat between the three of them in less than 30 minutes. 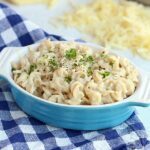 They are delicious served with a good, homemade marinara, whole grain pasta, and parmesan cheese! 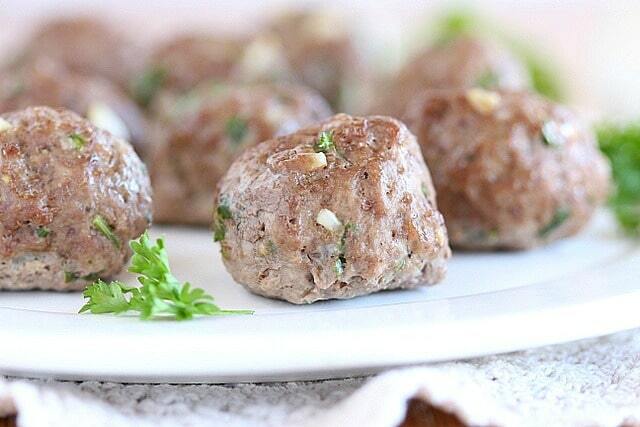 These delicious meatballs are super easy to make, and they don't contain any grains or eggs! It's best to begin with room temperature ingredients, as the meat is easier to work with and cooks faster. 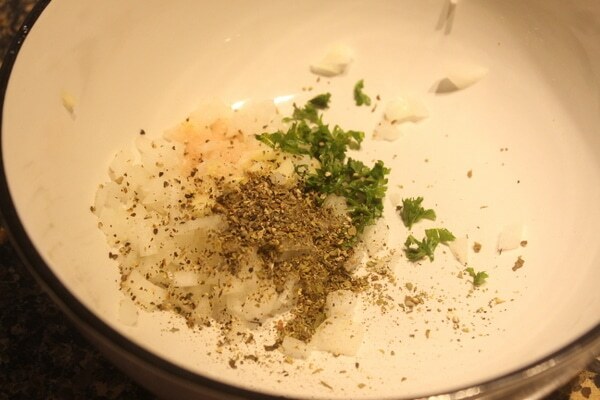 Mix the onion, garlic, spices, salt, and parsley in a medium bowl. 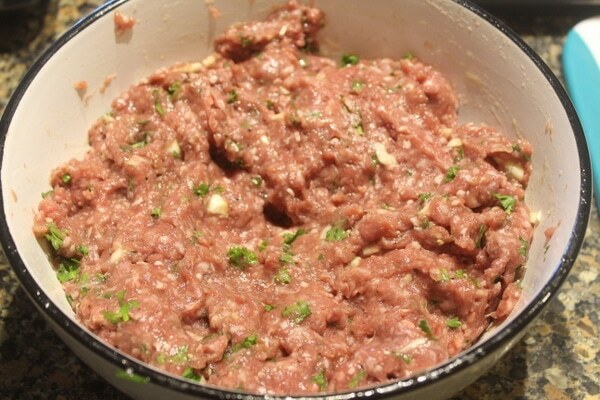 Add in the meat and (with your hands) gently work the all the ingredients together until well combined. 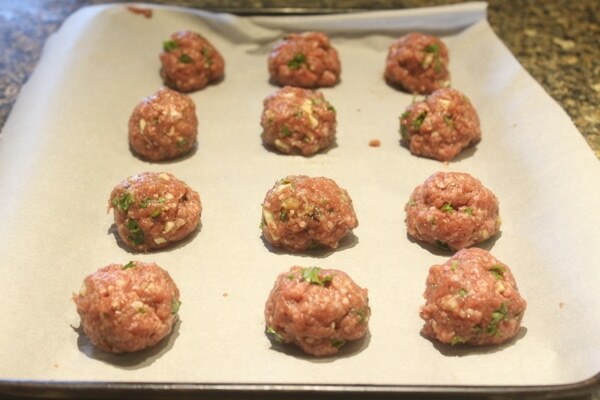 Roll the meat into golf ball-sized meatballs (about 14) and place them onto the baking sheet. When they come out, I take them off the baking sheet and place them onto a paper towel-lined plate to absorb any excess grease. 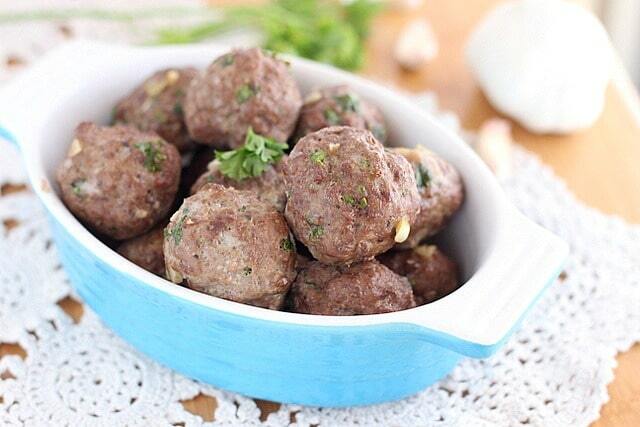 Thx for sharing your meatball recipe. These look like they would be great to freeze and then have ready as an easy meal. 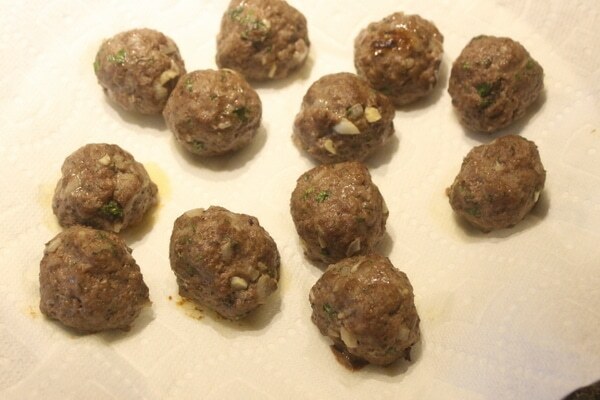 I usually find meatballs are easy to make in giant batches which saves me time in the long run. We skip the noodles and just eat them as is. Maybe cheese or sauce on top. Next to some veggies, they are quite nice. I had to get over my idea that meatballs and noodles were somehow married, lol. I also saw the magic pill and appreciated the reminder that food has the power to heal. I’ve seen that documentary! it’s fascinating. 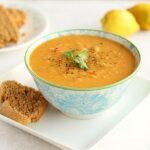 Thank you for all your low/no sugar recipes! 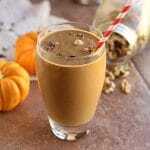 As always, Im looking forward to making/eating this one!